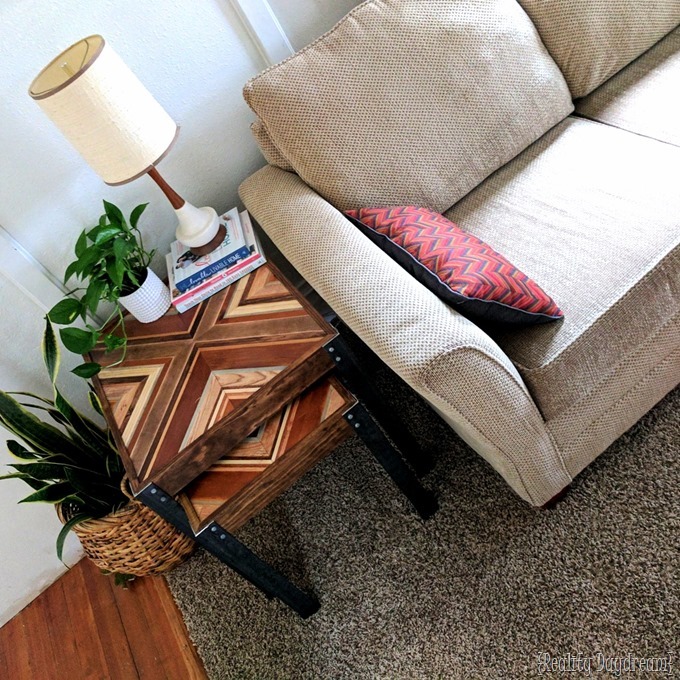 Nesting End Table with Decorative Wooden Inlay - using scrap wood! 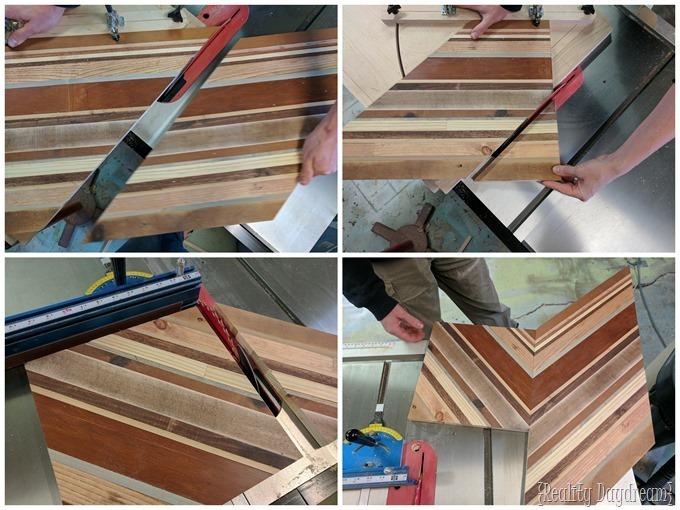 You might think that we must have a swanky wood shop with ample space, stacks of exotic rough-cut hardwoods, Festool everything, and gloriously organized-according-to-color spray paint collection (OKAY we totally do have that last thing). Everything else? #notsomuch …In reality, we use our two-car garage as our wood shop, and park our vehicles outside in the elements. Because priorities. But one thing we do have an abundance of? SCRAP WOOD. Soooooo many piles scraps leftover from our many building adventures. And every so often, I get a wild hair and decide to do a little something decorative with them. 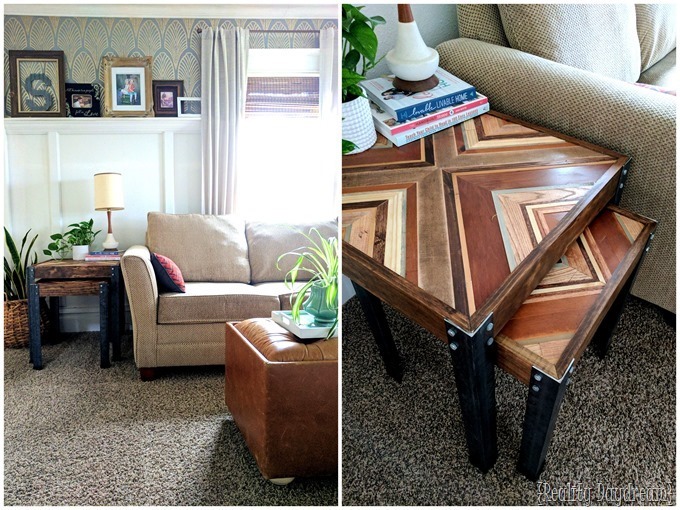 You know how much I love intricate Wooden Wall Art …and this Wooden Kilim Art is still one of my fave projects to date. 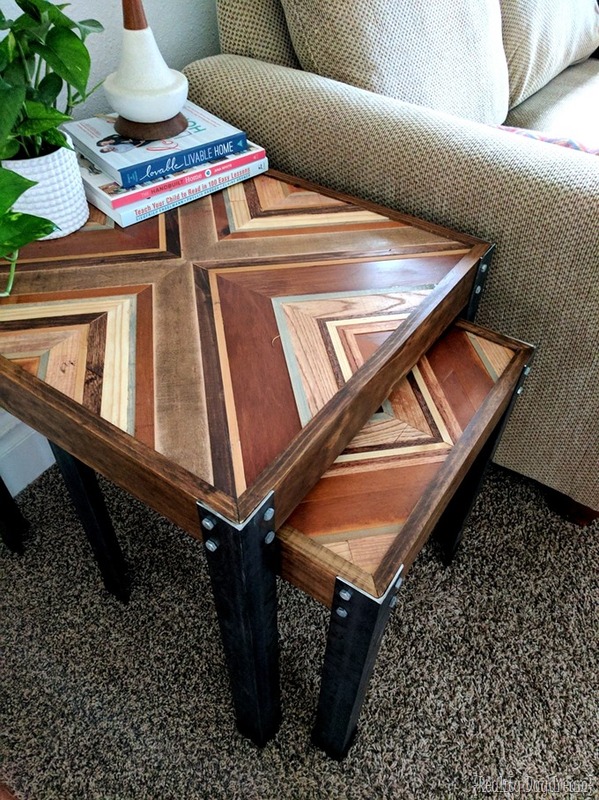 But this time, instead of a pretty thing to slap on a wall, I thought it would be fun to work it into an actual piece of furniture. 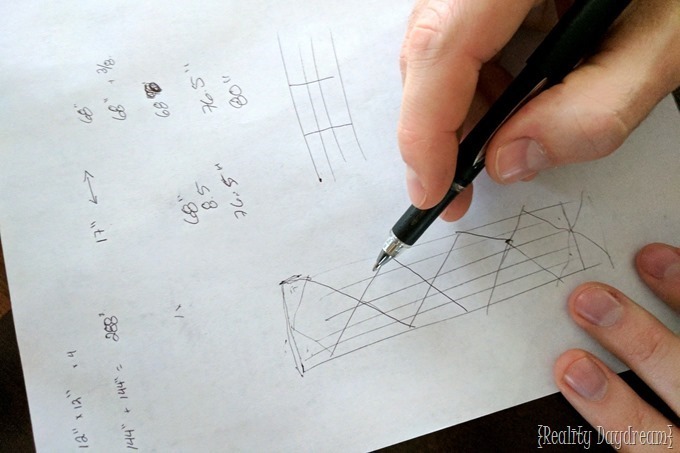 This build took some thought process, math, and sketching… but we survived. And we gone share the dirt. 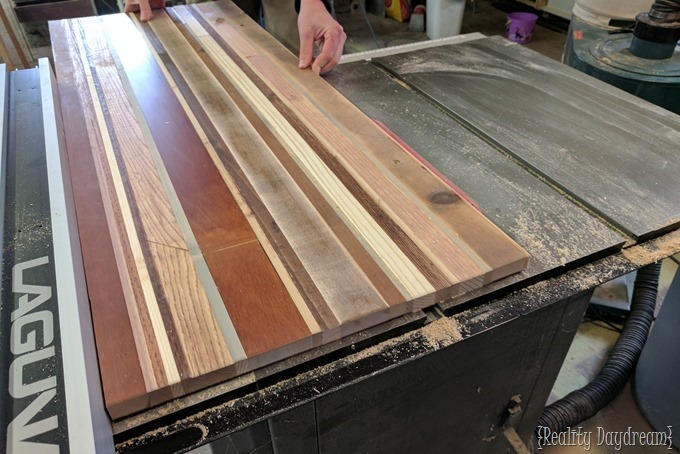 We laid out boards in a variety of widths from our scrap pile, ripping some of them down with the table saw to make sure they were all a similar thickness. Some had seams because they weren’t long enough, but we were ok with that. The whole design of this is kinda ‘rugged’ if you will. 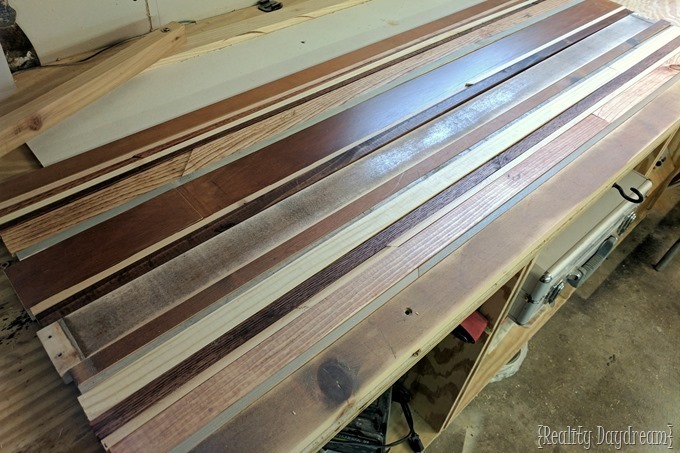 Then I grabbed a few different stain colors, and wiped them onto a few of the boards. Some of them I sanded to get that worn rubbed-off look, and some I left raw wood. Basically I just wanted a variety of shades of neutral wood tones. 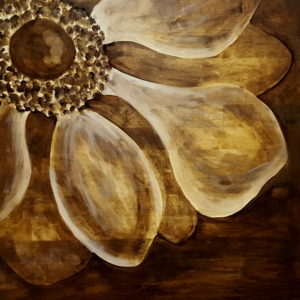 Just a quick swipe with a chip brush and immediately wiped off with a cotton cloth. 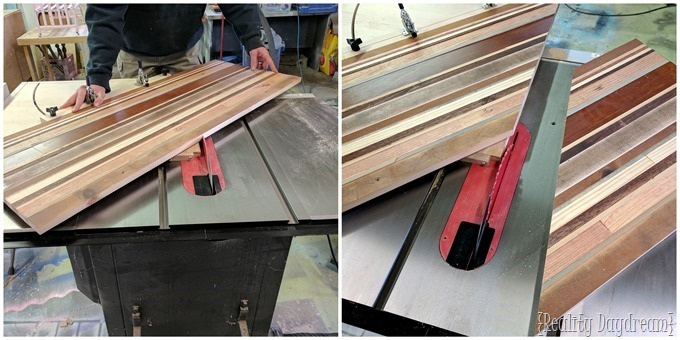 We slapped down a strip of wood glue between each board, and clamped them good and tight. It’s important to go scrape off the beaded glue after about a half hour with a putty knife or old credit card. It’s much easier to clean up after it’s set a little, but not after it’s rock hard. Set an alarm on your phone if you have to! 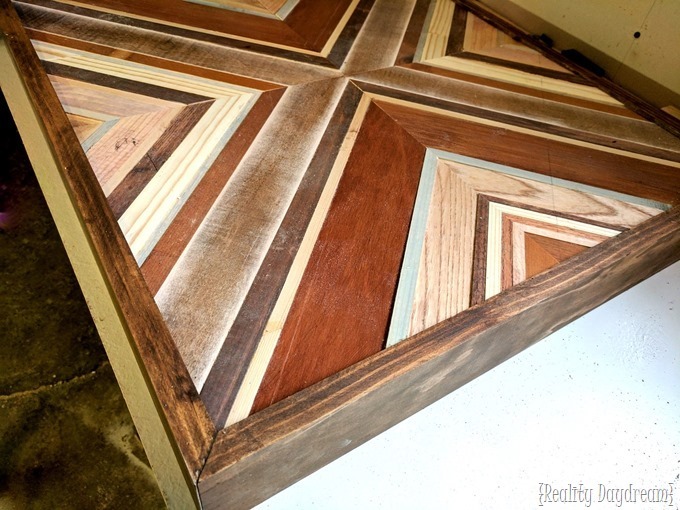 After the glue was good and try, we ran it through the table saw to straighten up all the edges. Time for the ANGLES! 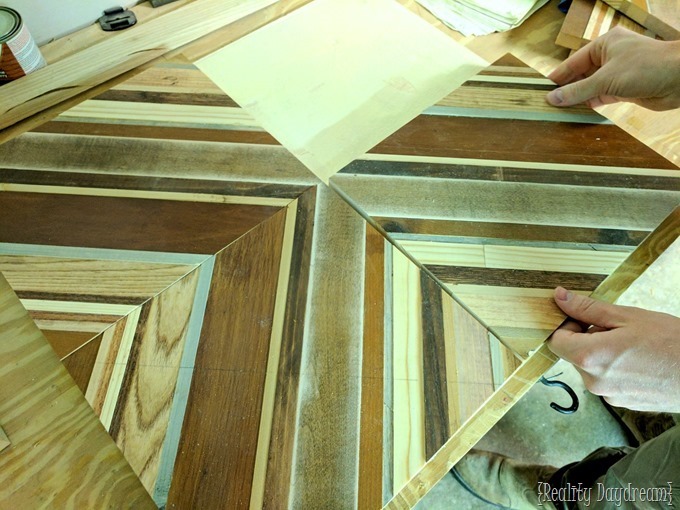 The square diagram on the image below is a view of what we want the top of the end table to look, and the rectangular diagram is how we’re going to cut our slab of glued scrap wood to make these perfect angular squares! Stay with me OKAY?! 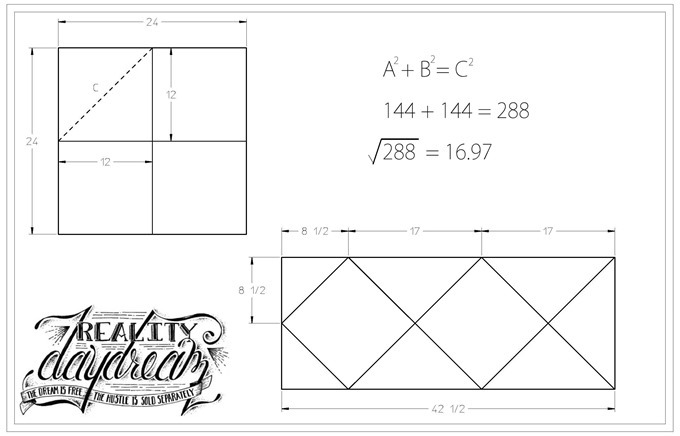 We decided to go with this ‘X’ pattern for the inlay design… but you could easily turn each square 45* and make it a square pattern. 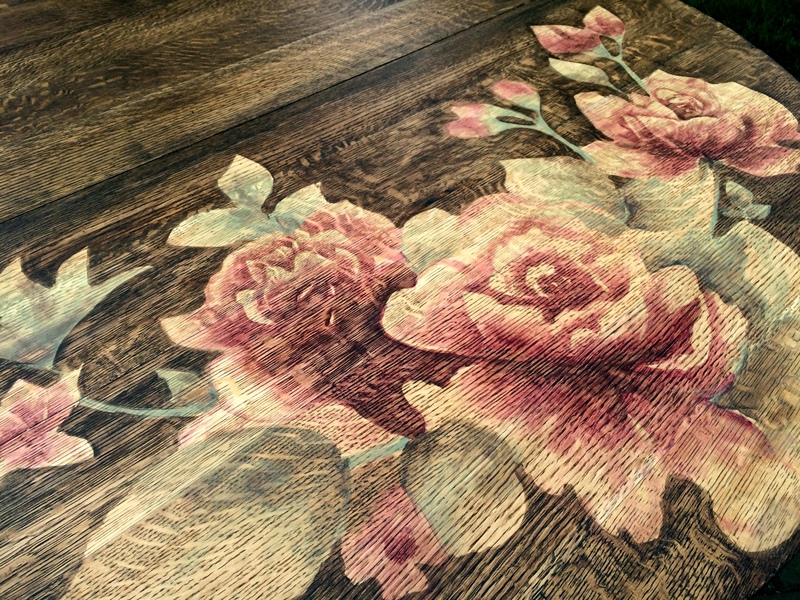 That’s what we do on the second nesting table, so you can see how they both look. We glued all 4 squares down to a backer board substrate, and put heavy paint cans on each square while the glue dried. 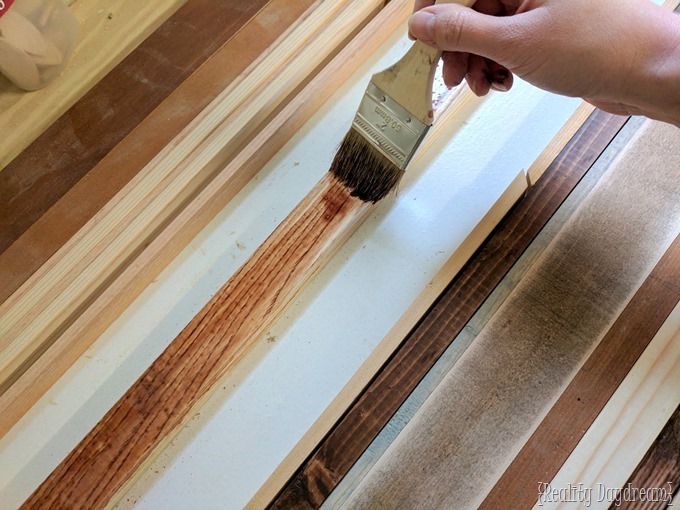 After trimming up the edges again on the table saw, we framed everything up with a 1×2, stained with General Finishes ‘Antique Walnut’ stain (my new FAVE chocolatey brown stain! 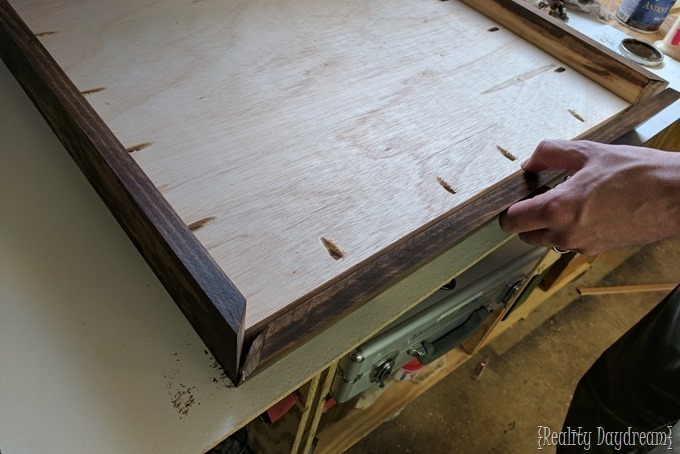 ), and attached to the substrate with pocket holes. Glue and screw and flip that baby over to admire your handiwork! That and slather on a couple coats of polyurethane. Now it’s time to deal with these angle iron legs. 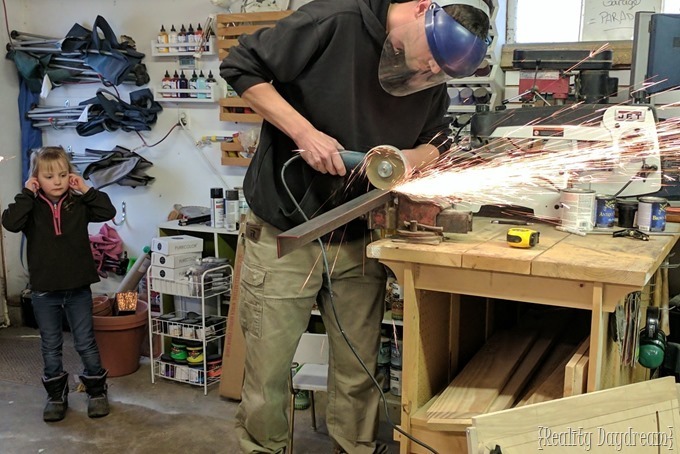 We bought 16 total feet of angle iron (for both end tables, not just one) at our local home improvement store. Nick used an angle grinder with a cut-off wheel to slice these guys down to size and round off the edges a bit so they aren’t so sharp. 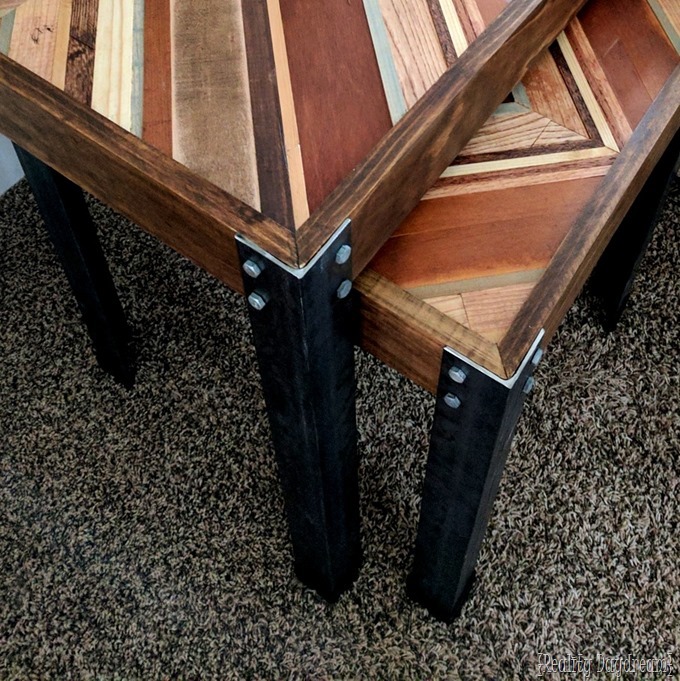 We rounded the corners of the end table frame so the angle iron would fit closely, then drilled holes with a HSS drill bit, and slapped these suckas together with galvanized lag screws and bolts! I’m pretty sure Dell thought Daddy was setting the garage on fire. LOL! Aren’t they SO PRETTY?! I can’t stop staring at them! 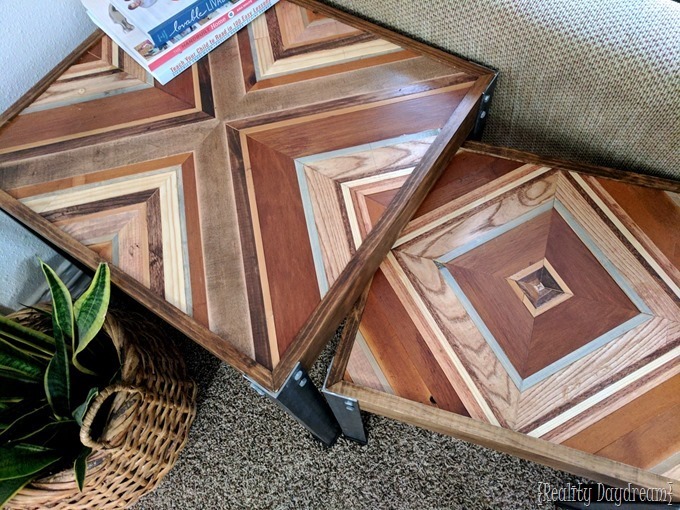 Here’s a pic with the smaller table pulled out so you can see how we laid out the scrap-wood squares differently to make this square pattern. 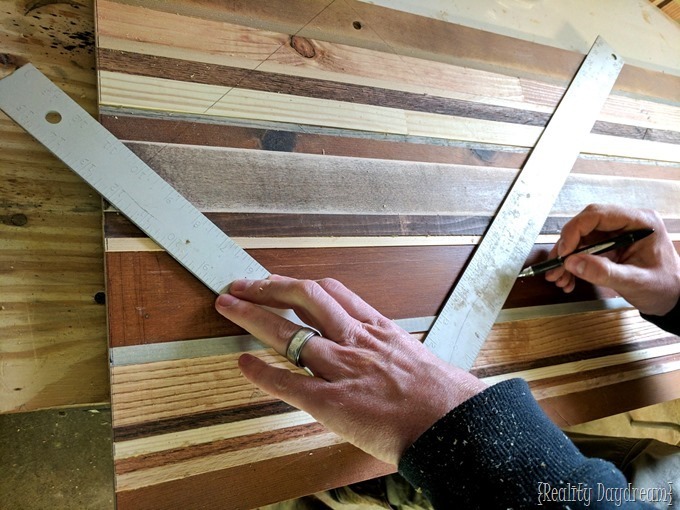 I hope the math and angles doesn’t scare you off from this project (or even all the sparks! )…but I’ll admit it’s pretty handy to have a mathematically inclined man-child around these parts. This was a fun project to do together! 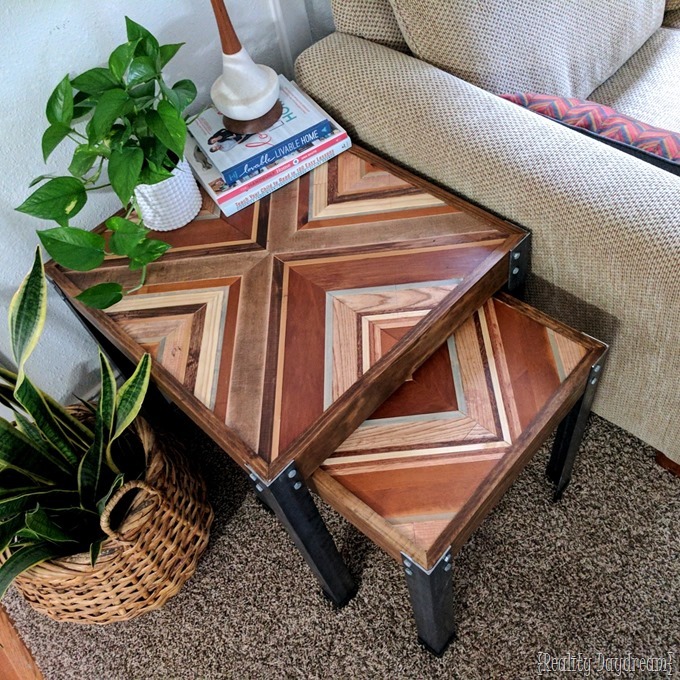 And we still have a TON of scrap wood to use up, so you can look forward to more projects like this with pretty decorative wooden inlays. I feel like this adds so much personality to an otherwise straight-forward (BLAND!) design. Can I get an amen?! P.S… it’s hard to see in these pictures, but they make these rubber plug things to slide onto the edges of the angle iron so they won’t scratch your floor if you don’t have classy wall-to-wall carpet like we do (*sarcasm). 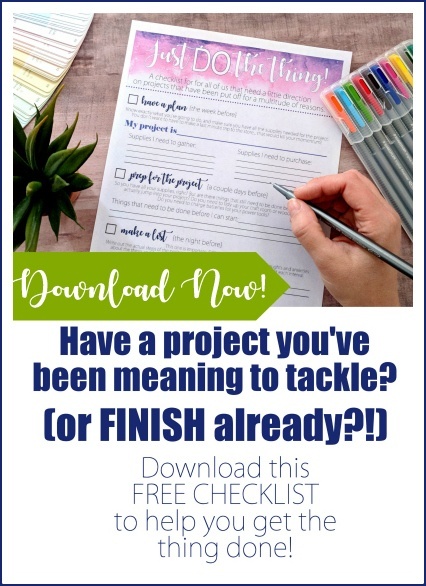 AS ALWAYS, if you give one of our projects a try… please tag us in your posts on social media so we can see your handiwork! We’re @RealityDaydream on both Facebook and Instagram. 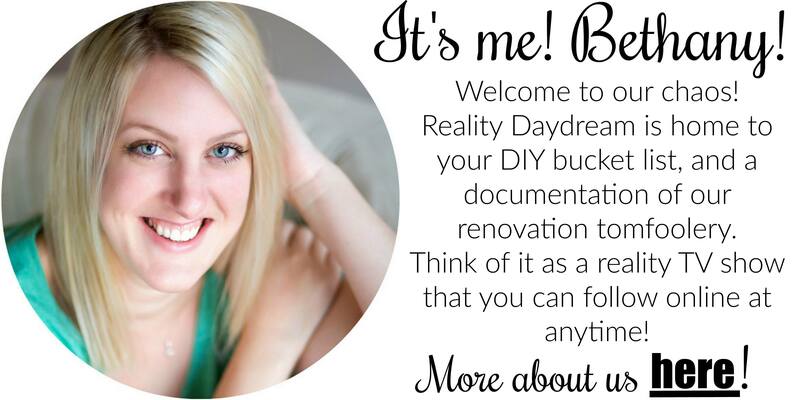 Or you can always email us at beth@realitydaydream.com to share you project as well! 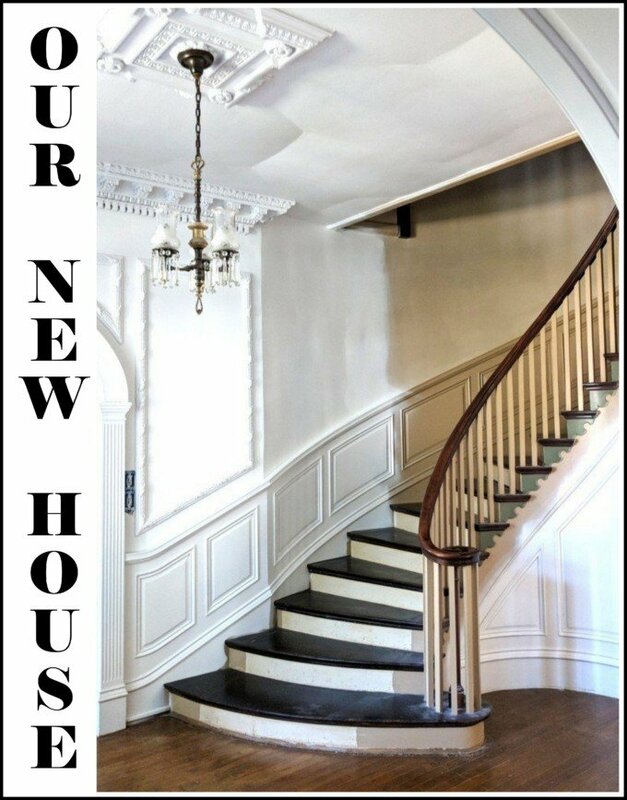 Feel free to leave any questions you might have in the comments below. 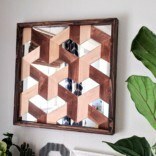 Be sure to check out this post chock full of pretty Wooden Wall Art inspiration by lots of different makers! « Easter or Spring-themed Kids Craft …MARBLE PAINTING! 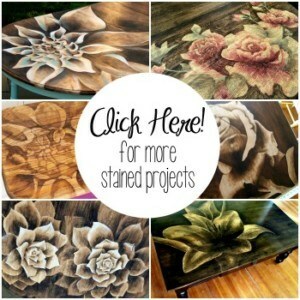 Wow Bethany – those are darn beautiful! You guys are like mad scientists with wood! Totally amazing! 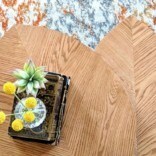 Love the look – like quilting with wood! Wondering if you think the bottom of the angle iron needs something to protect the floor. I see you have it on cardboard but thinking it might really scratch hardwood floor. Or am I overthinking this?